Has the Greater Toronto Area’s real estate market set a record for setting records yet? Add this one to the growing list: more new condos sold in March than any other month on record. 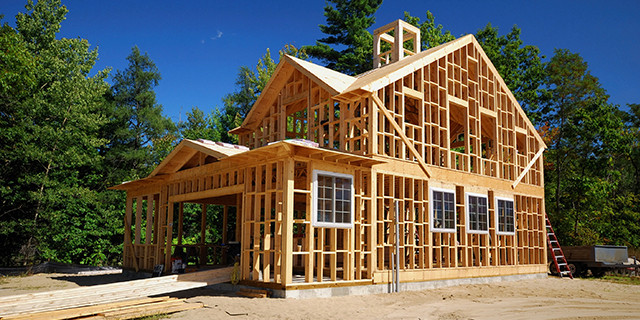 That’s according to the latest monthly new-construction real estate report from the Building Industry and Land Development Association (BILD), a group representing developers and homebuilders in the region. Buyers snapped up 4,500 condos in March, obliterating the previous record of 3,820 transactions set in May 2016, according to the report, based on data from real estate analytics firm Altus Group. “The record number of condominium apartment sales in March was boosted by recent launches of product in prime locations — more than half of March sales were in projects opened in February or March,” explains Patricia Arsenault, Altus Group’s executive vice president of research consulting services, in a statement. As sales ramped up in March, the average asking price for condos and stacked townhomes surged 14 per cent on a year-over-year basis to $532,792. The price per square foot worked out to $666. BILD’s report focuses exclusively on the new-build market, which isn’t covered in the Toronto Real Estate Board’s monthly reports limited to the resale segment. In just 12 months, the average asking price of a new detached home in the GTA has increased by more than builders list a new condo for on average, the report suggests. Among available detached homes in GTA, the average asking price in March was $1,783,417, up $716,711 from one year earlier. For all low-rise homes, including detached and semi-detached homes as well as townhouses, the average asking price was $1,124,600, representing an annual gain of 32.4 per cent, or more than $40,000. Low supply levels are to blame for vertigo-inducing gains, suggests BILD, which flags red tape facing builders and planning policies that encourage higher density as causes. In builder inventories there were 10,153 homes on the market at the end of March, roughly half of what was available to buyers only one year ago. Supply shortages were most obvious in the detached segment, as buyers had to compete over 233 available new houses. Ten years ago in March there were 11,802 detached homes up for grabs, meaning inventory has plummeted by 98 per cent since then. Some 932 low-rise homes were included in builders’ available inventories, down from 17,854 in March 2007. Amid a period of low supply, sales varied from municipality to municipality. Peel Region recorded the most low-rise home sales in the new-construction market last month at 353. Toronto saw the fewest, with just 31 new low-rise homes purchased throughout the entire month. But Toronto was on top for high-rise unit sales at 3,228, and that was enough to lift the city above all other municipalities tracked with total sales numbering 3,259 of the 5,675 homes that sold in the GTA. Halton had the lowest number of new condos sold as only 147. Still, that’s more than double last March’s total of 61 units. Condos accounted for about 80 per cent of all March home sales in the new-build market, as buyers gravitated towards this more-affordable option. “Demand continues to be fueled by end-user buyers who are shifting their expectations towards more attainable product, as well as by investors whose presence will help ensure a steady stream of new rental housing supply in the years to come,” says Altus’ Arsenault.